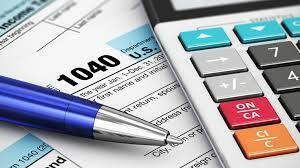 As a homeowner in Northeast Florida, you are pleasantly reminded each April 15th that the interest portion of your mortgage payments is 100% tax deductible. When you own Northeast Florida rental property, though, the tax implications are considerably different. You need to report rental payments you receive from your tenants as income—but you’ll also be able to write off some related expenses, as well. If you plan to manage your Northeast Florida rental yourself, it’s helpful to use one of the popular computer financial programs to keep track of receipts. The reporting features in these software packages make tax preparation a lot easier—and lessen the likelihood of mistakes in your income reporting. If you’ve hired a property management firm, no need to worry about this detail: they will handle the tracking. If your Northeast Florida rental has a mortgage, the interest portion of the payments will generally be deductible. One exception: if you refinance for an amount greater than that which was previously owed, the excess is not considered a rental expense. How you use your Northeast Florida rental is a major factor determining its tax treatment, so it will be advantageous for you to acquaint yourself with the rules right off the bat. An early discussion with your tax consultant will clarify the choices. While a reliable property management company will do the lions’ share of the record keeping, at least until you have experienced a year or two of filing as a landlord, it’s wise to have an accountant prepare your returns. If you are thinking taking advantage of the benefits of becoming a landlord, I hope you’ll call me today to have a look at the current opportunities. Right now a number of outstanding Northeast Florida rental properties are available!